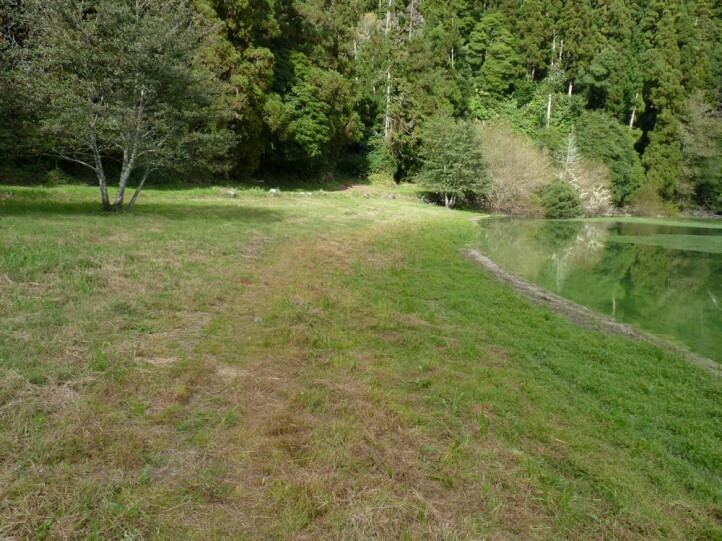 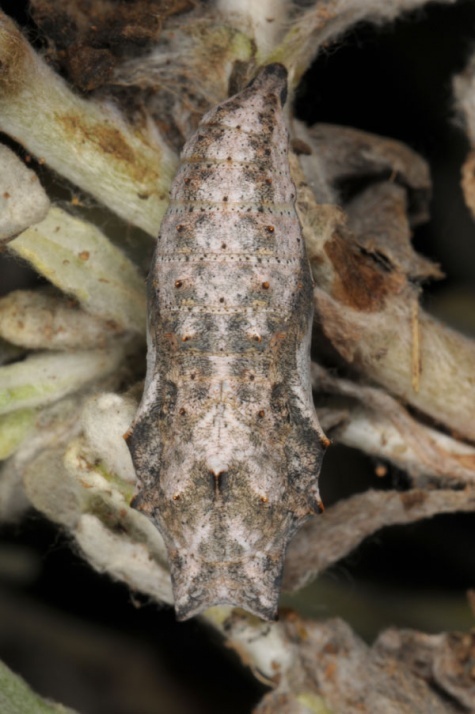 The species has a much more limited range of host plants than Vanessa cardui. 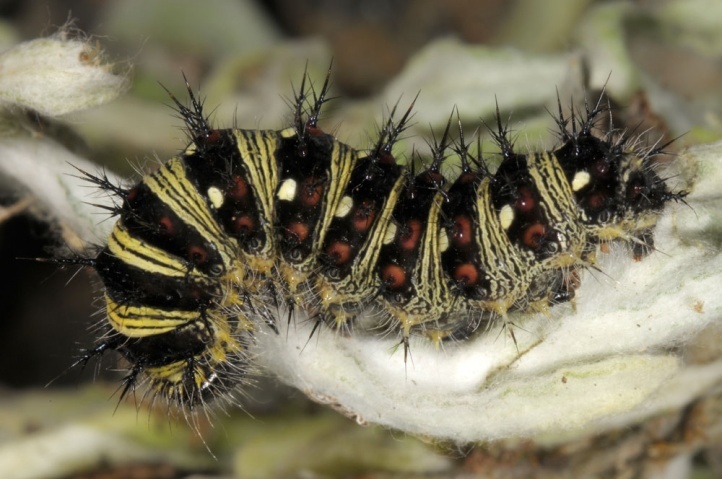 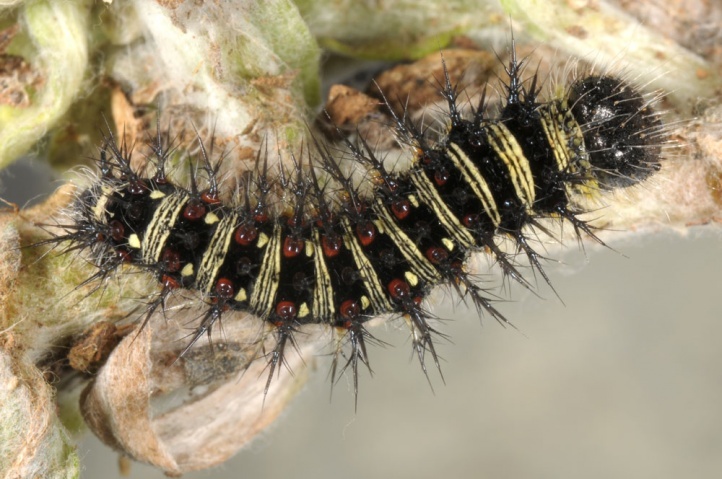 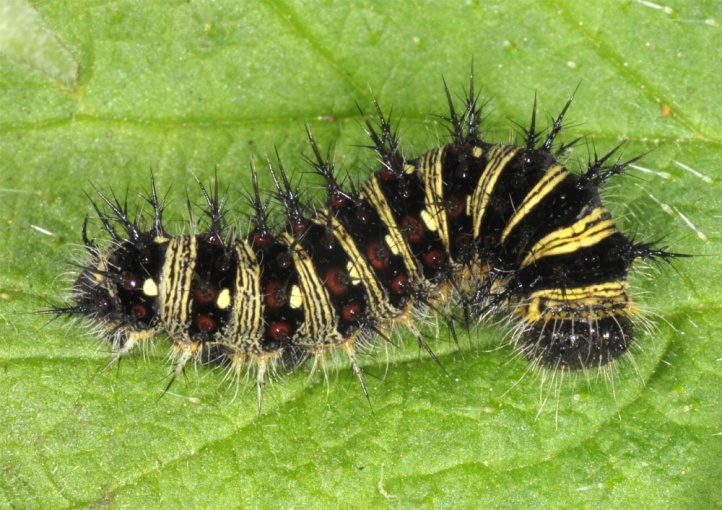 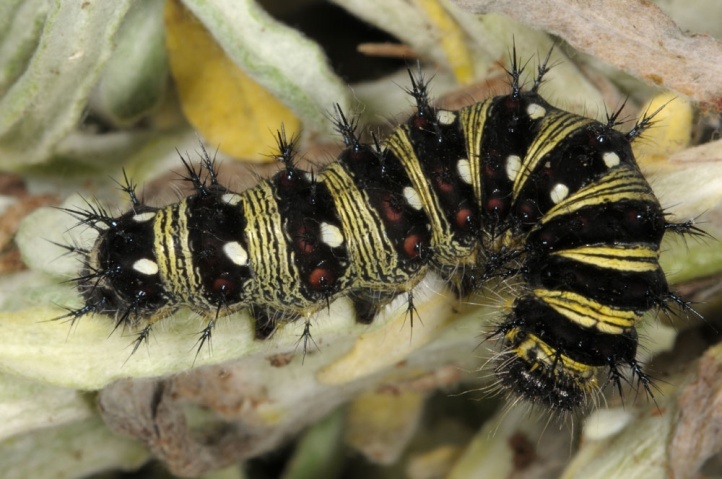 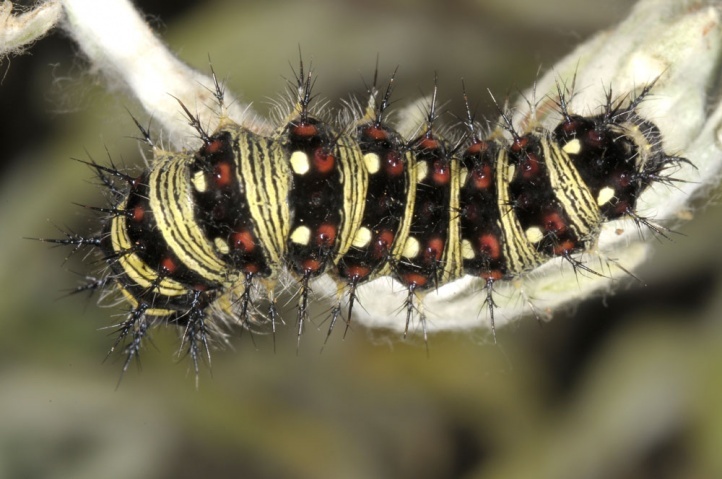 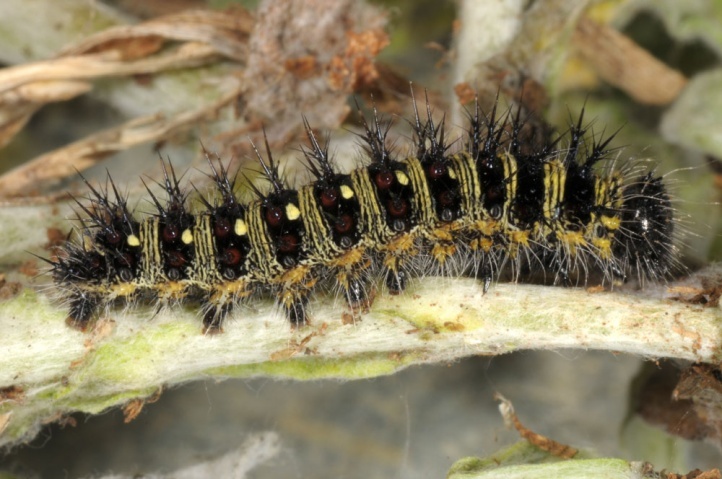 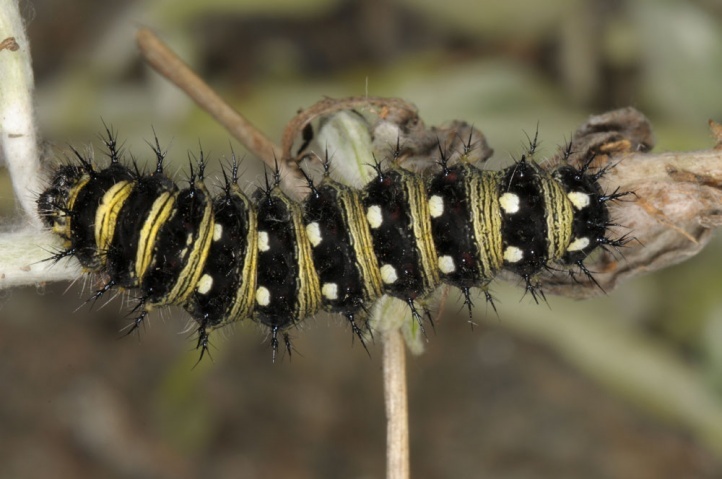 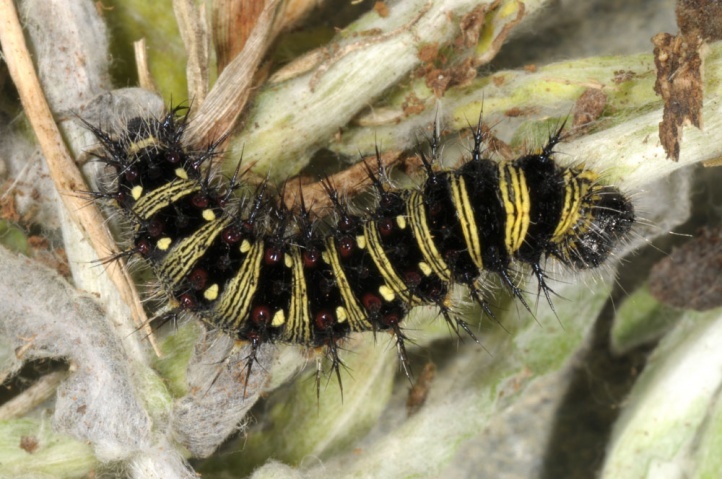 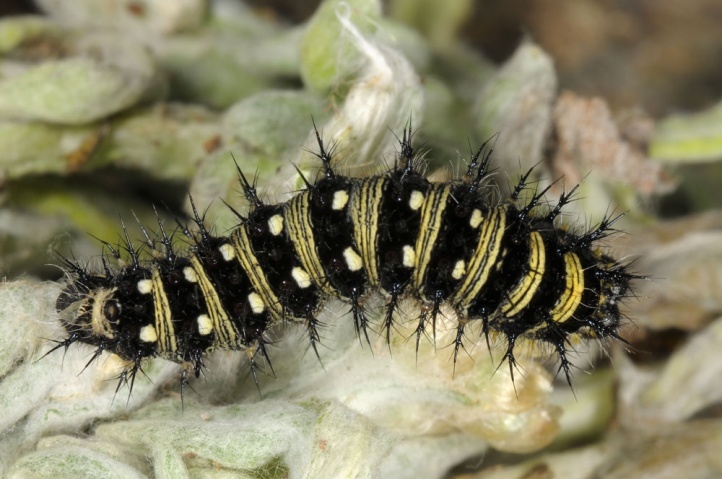 The caterpillars are found mainly on Asteraceae and here on Gnaphalium-species and related genera (Filago). 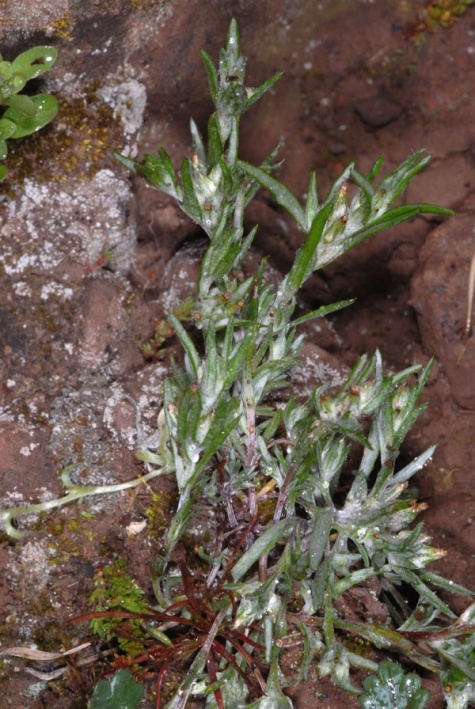 On the Canary Islands and Portugal, Gnaphalium luteo-album is the main larval host plant. 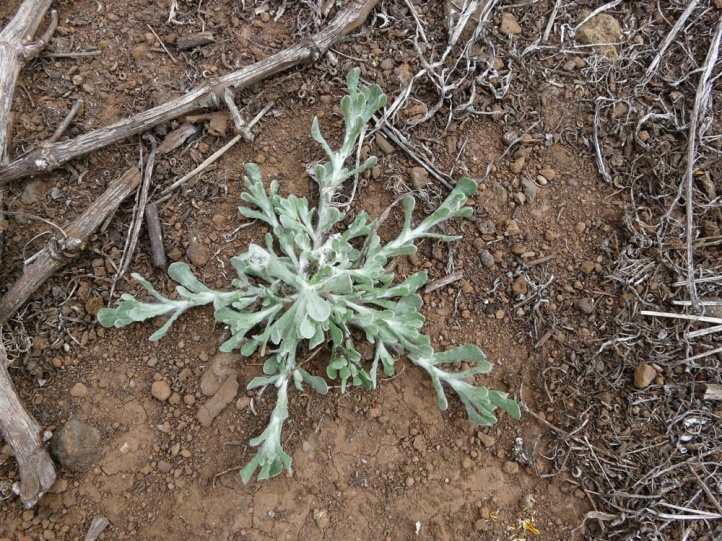 Vanessa virginiensis is mostly found in open habitats in which the larval host plants occur. 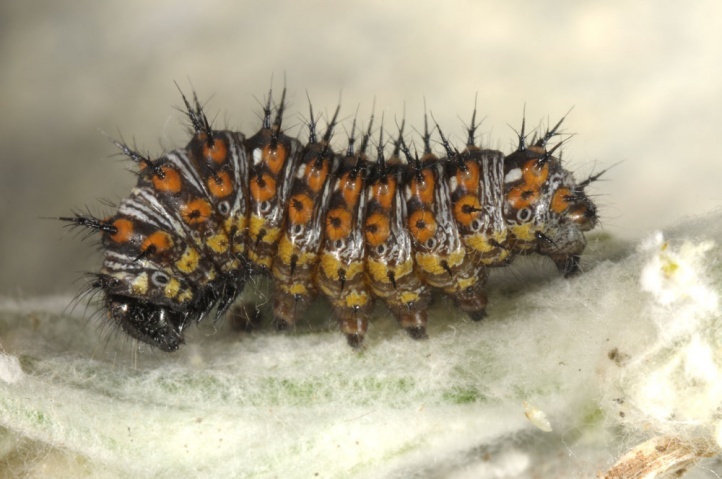 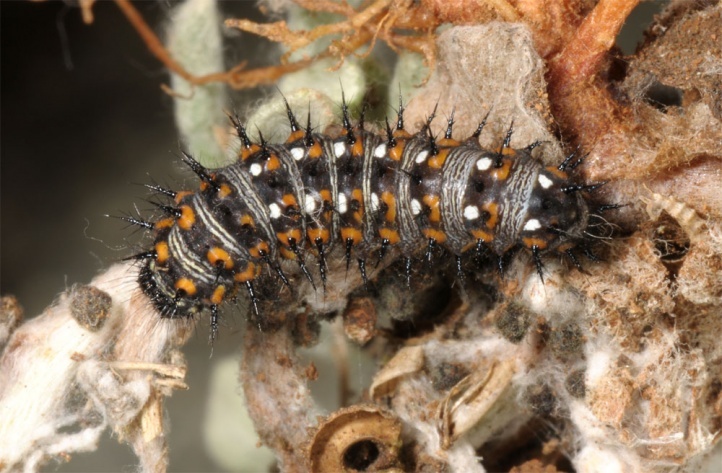 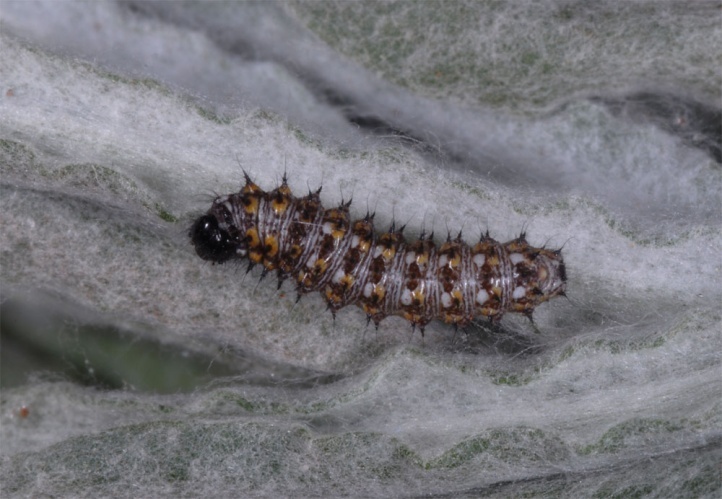 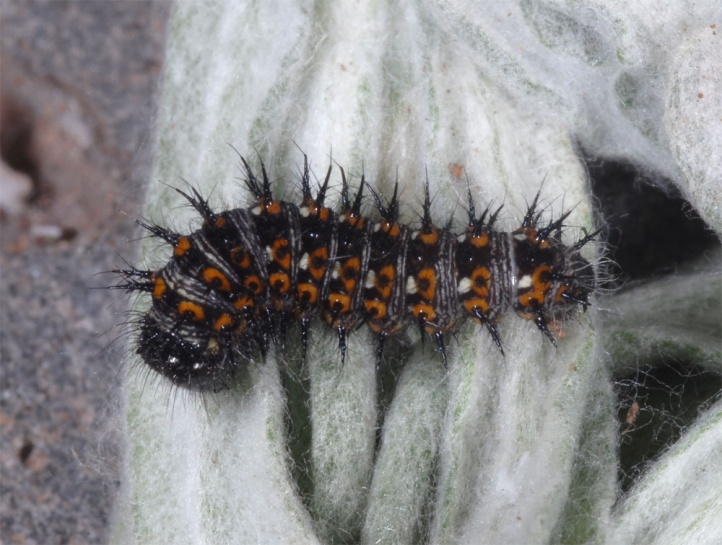 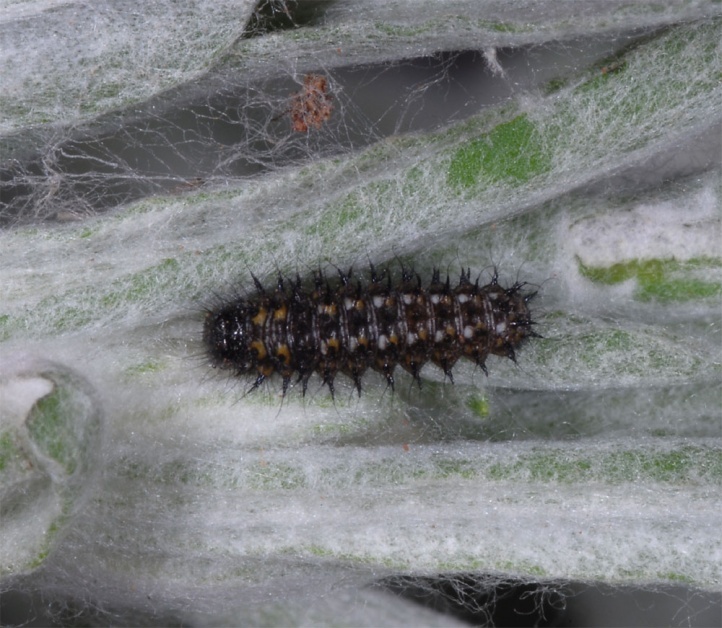 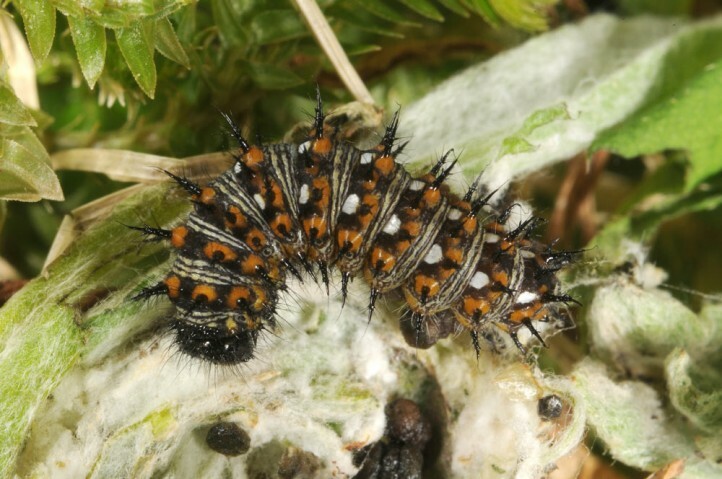 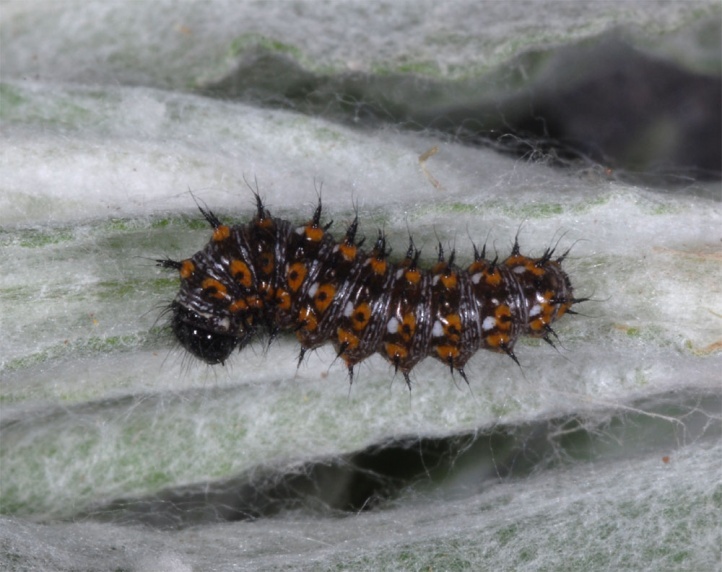 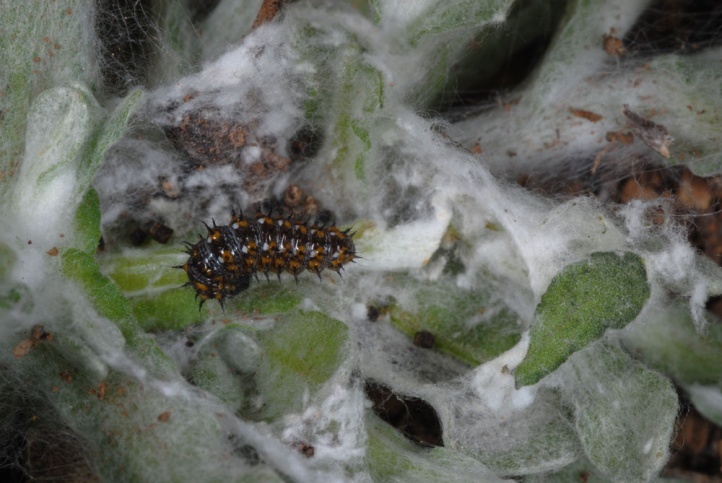 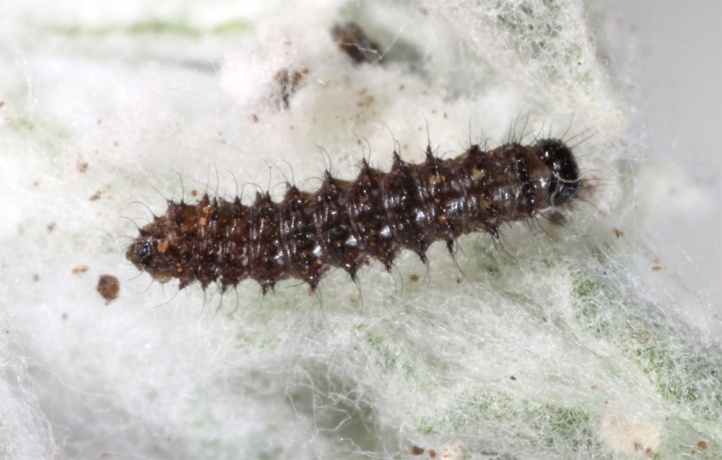 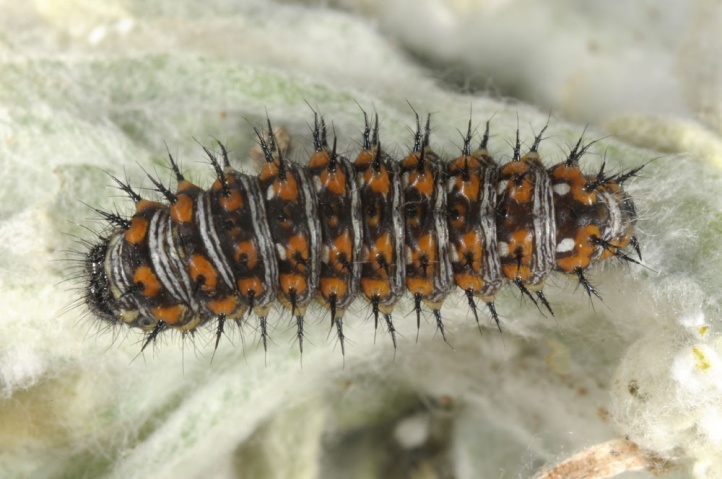 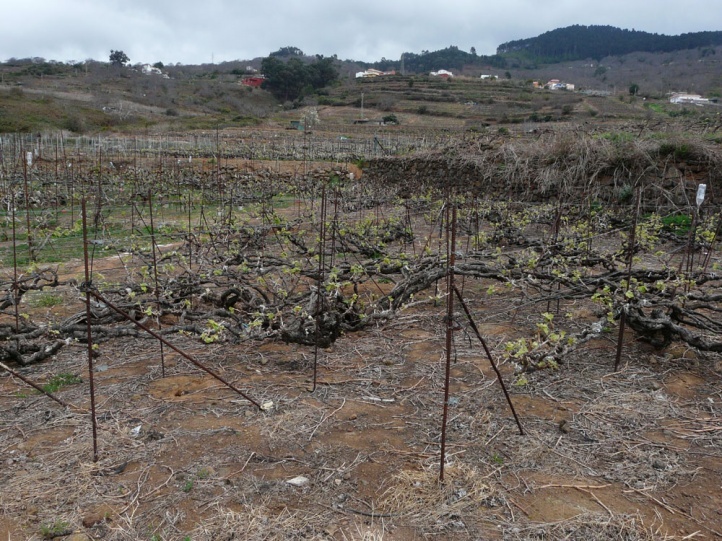 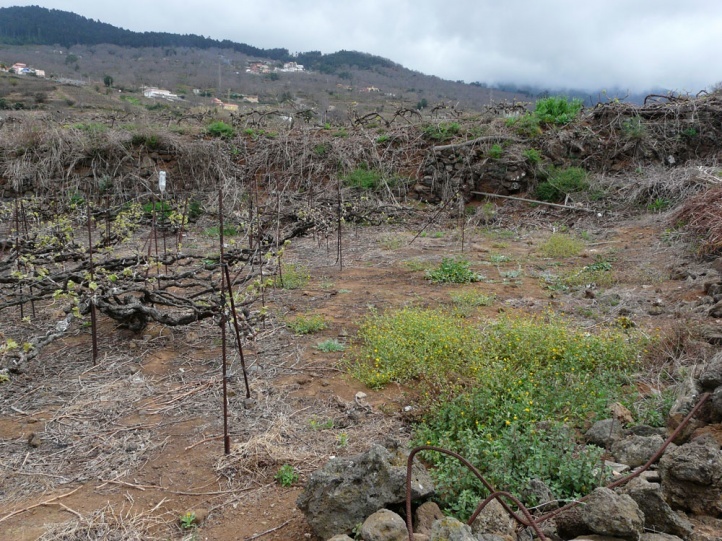 In Tenerife (Canary Islands), I found eggs and caterpillars along with a few of Vanessa cardui on Gnaphalium luteo-album on the verge of retaining walls and especially in vineyards near La Matanza in 500 to 700m above sea level in the end of March 2012. 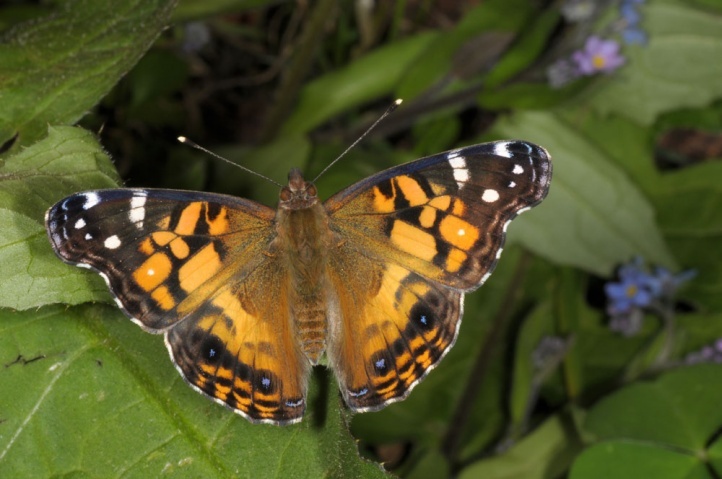 Vanessa virginiensis here is dependent on large agricultural areas, more or less open country between 300 and 800m above sea level, which extends above the extremely dense coastal development between La Esperanza across La Matanza until at least La Orotava. 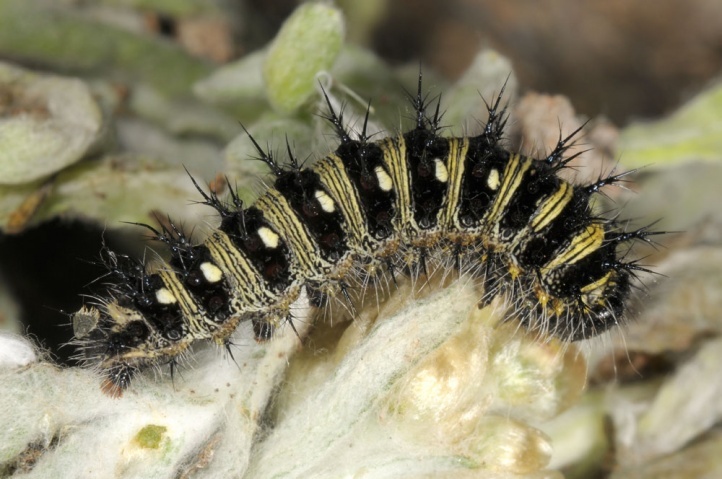 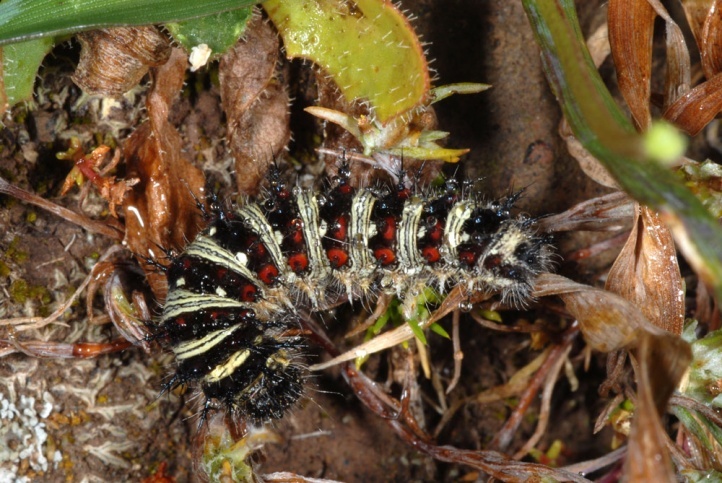 In La Gomera, I observed larvae on Filago gallica on a goat pasture in 1000m asl near the Ermita de las Nieves (February 2013). 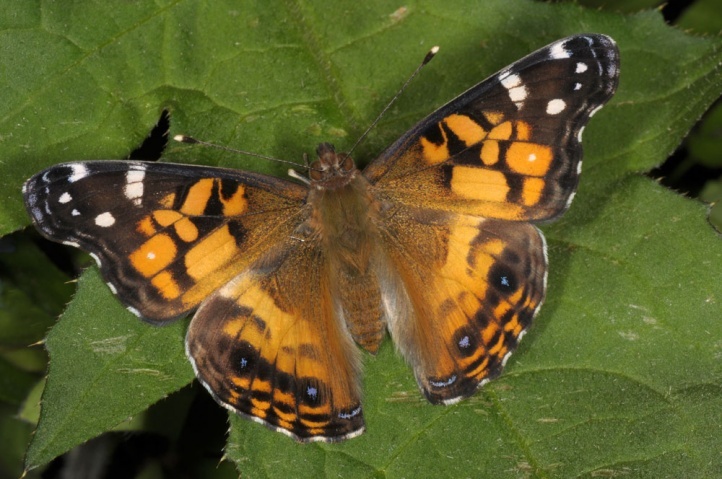 Vanessa virginiensis flies in several generations per year. 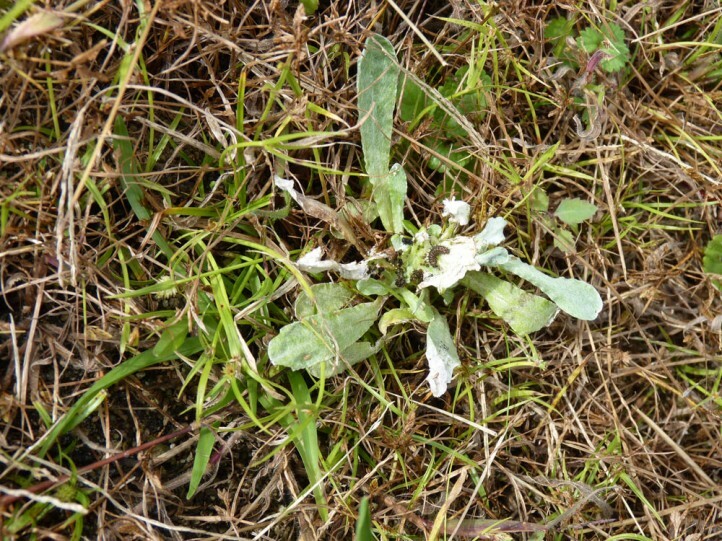 Apparently it is quite rare in the winter months and then has at least partially a rest period. 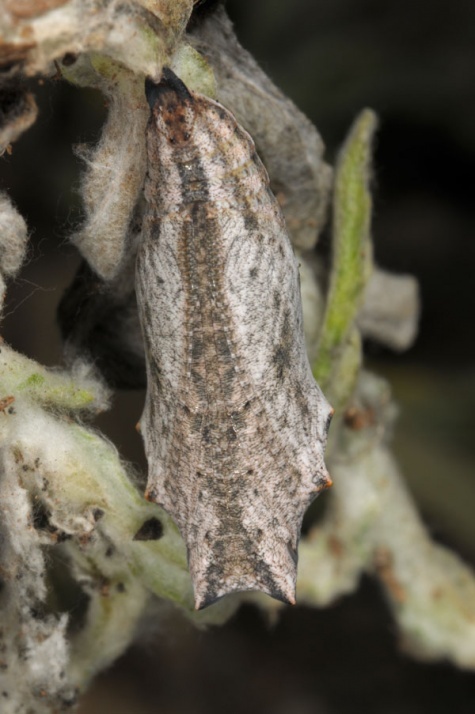 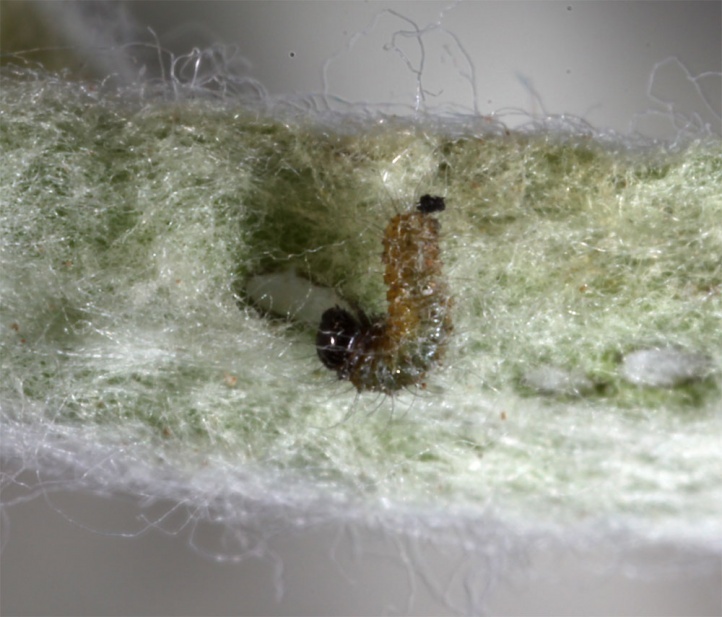 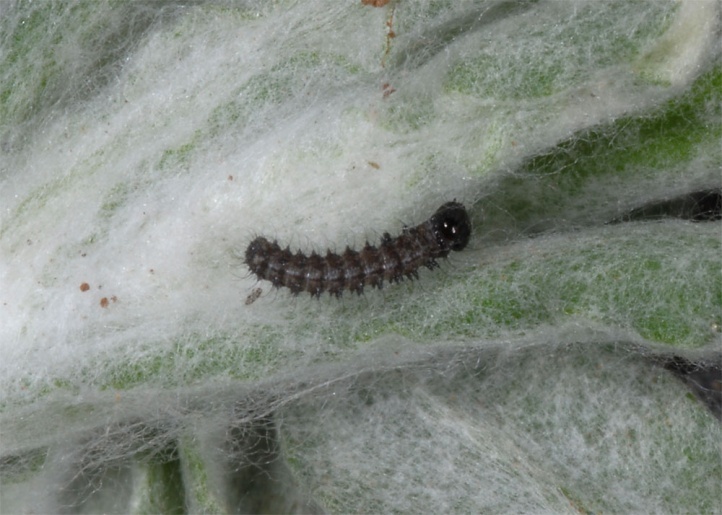 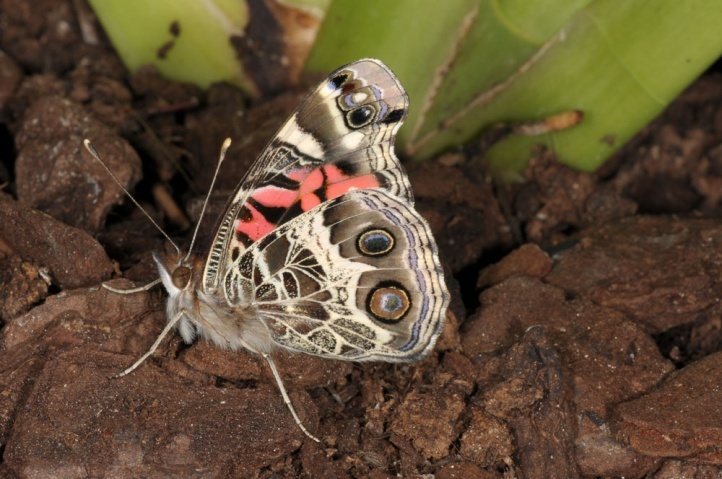 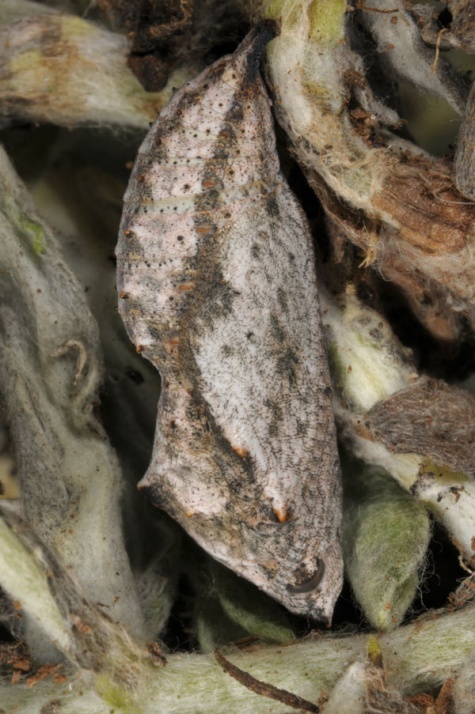 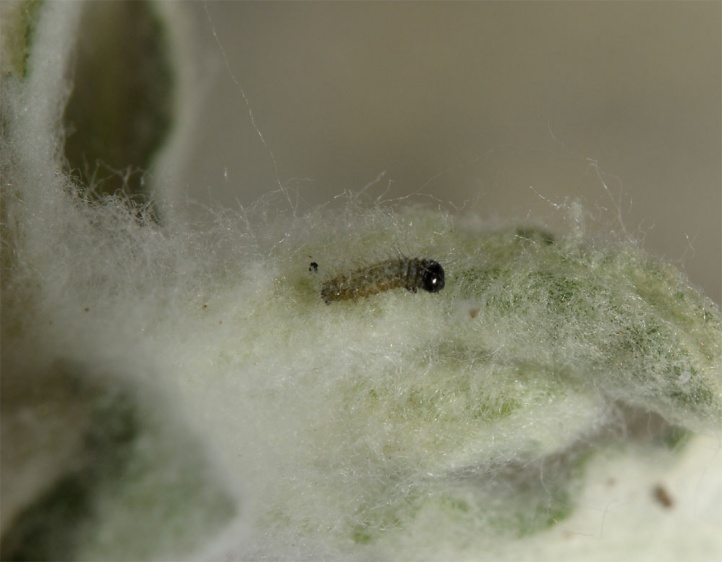 In Tenerife, I observed many eggs and young to half-grown caterpillars in late March 2012. 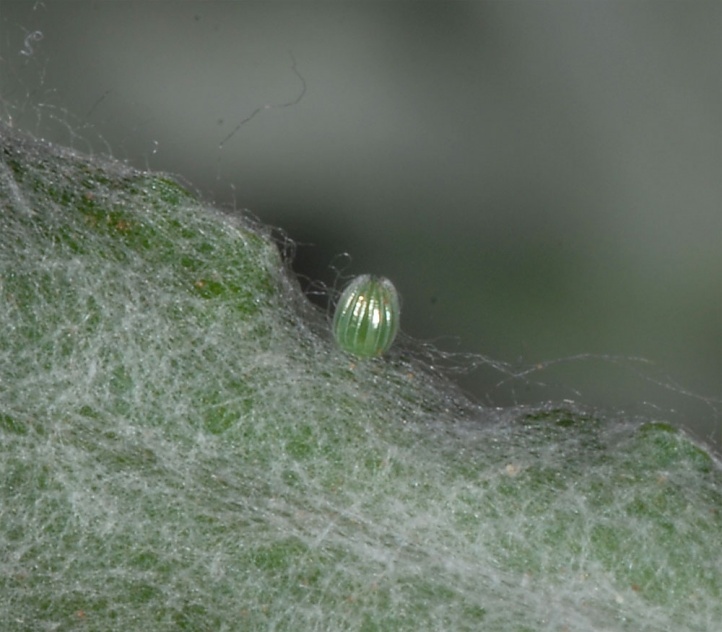 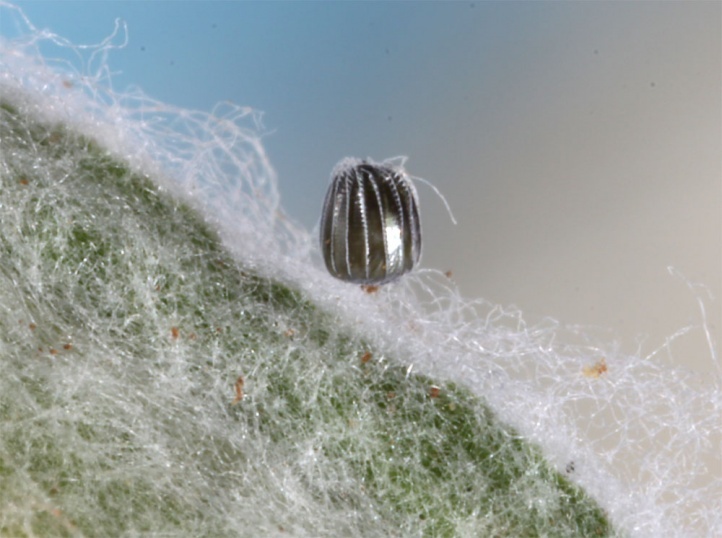 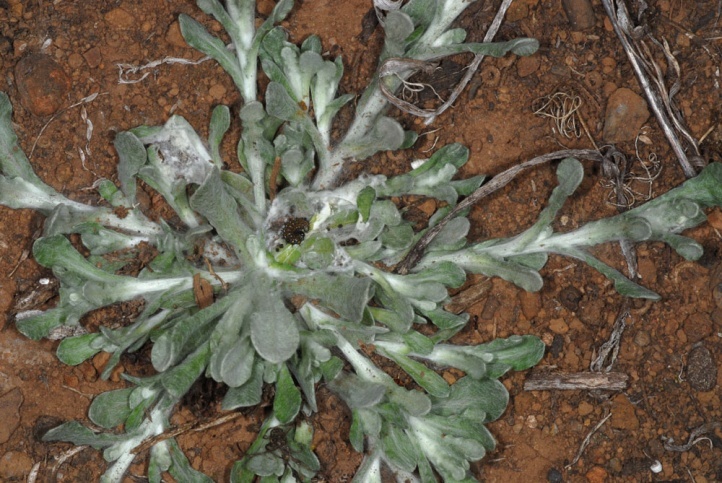 The eggs were usually deposited isolated on the upper leaf surface on young shoot tips of isolated and sunny Gnaphalium plants on open ground. 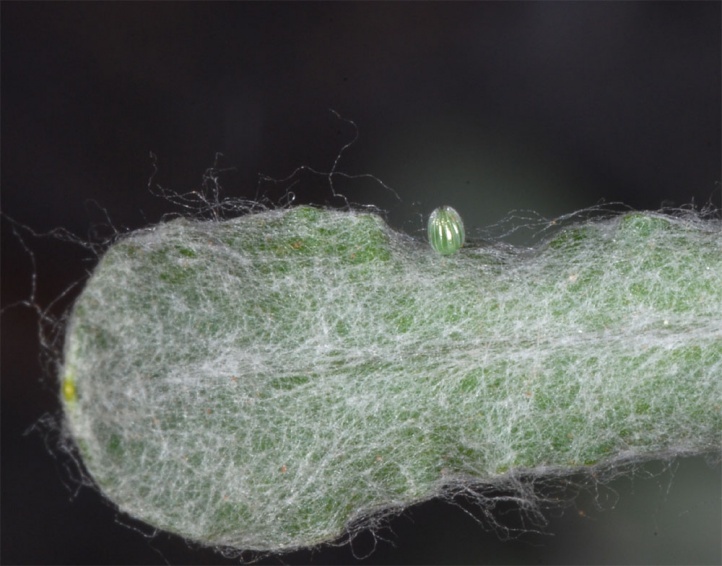 The caterpillars web a shelter that is well camouflaged by the white trichomes. 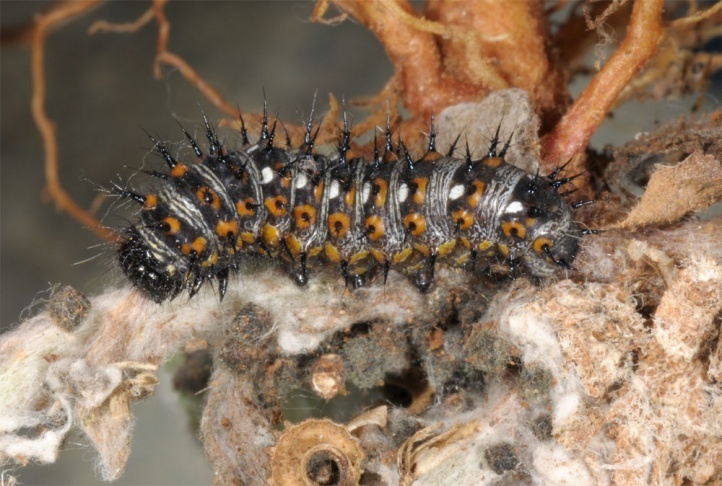 The few populations in the Old World are endangered through intensification (poison, herbicides) of agricultural areas, housing developments and other measures that affect the habitat of Vanessa virginiensis. 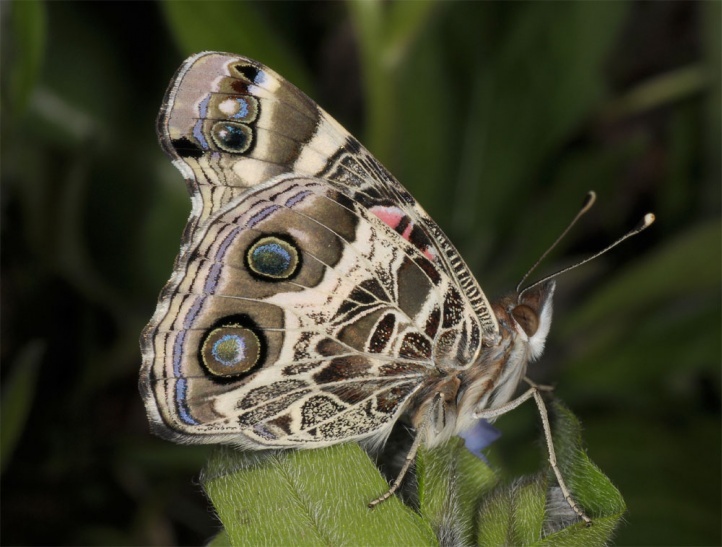 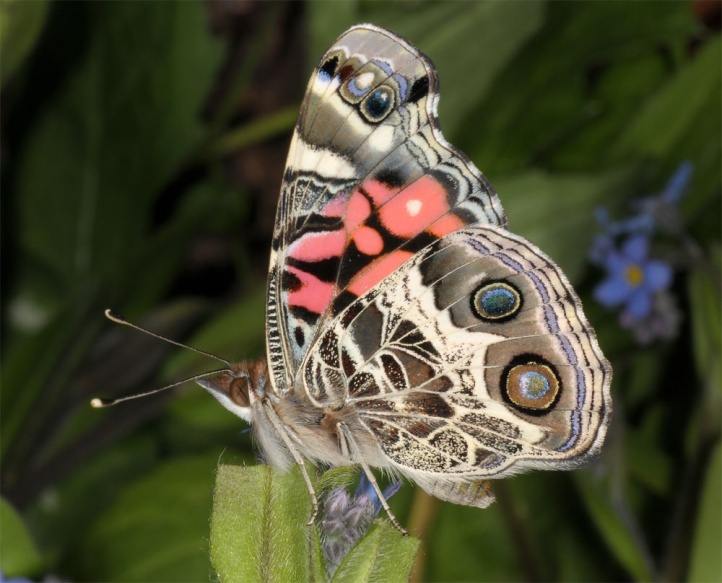 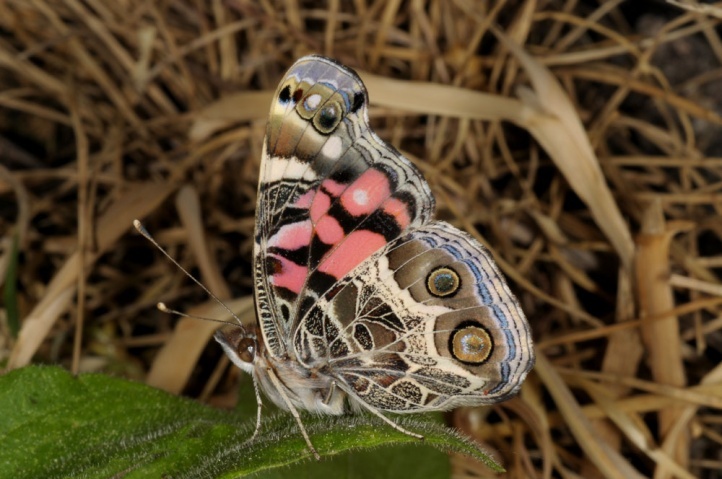 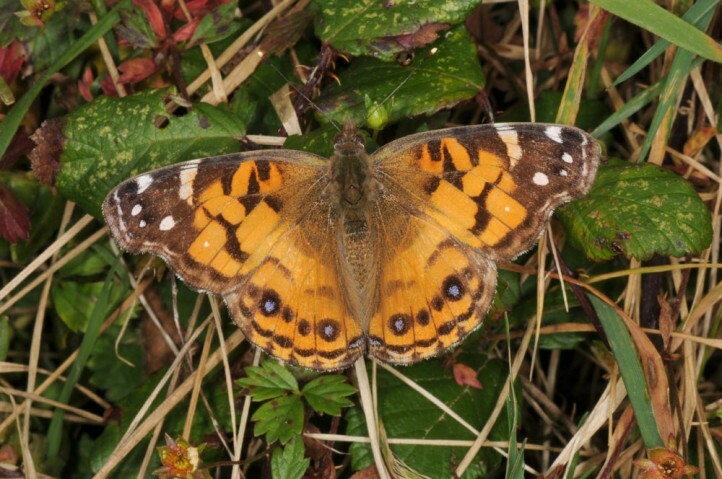 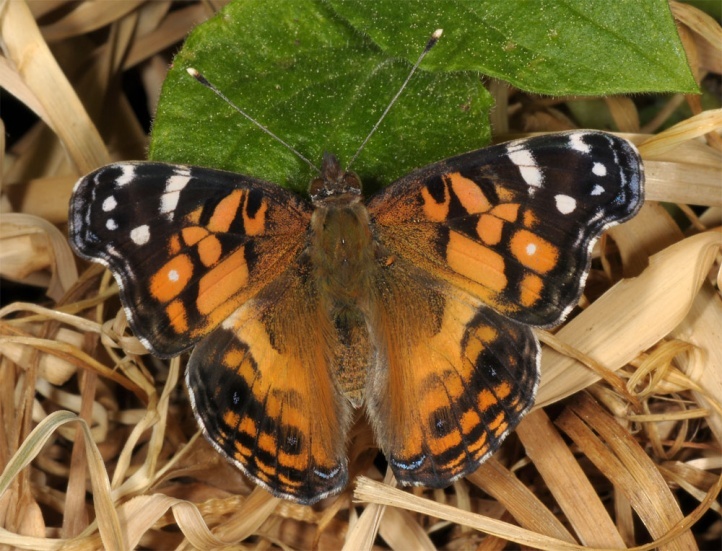 Vanessa virginiensis occurs primarily in North and Central America (American Lady). 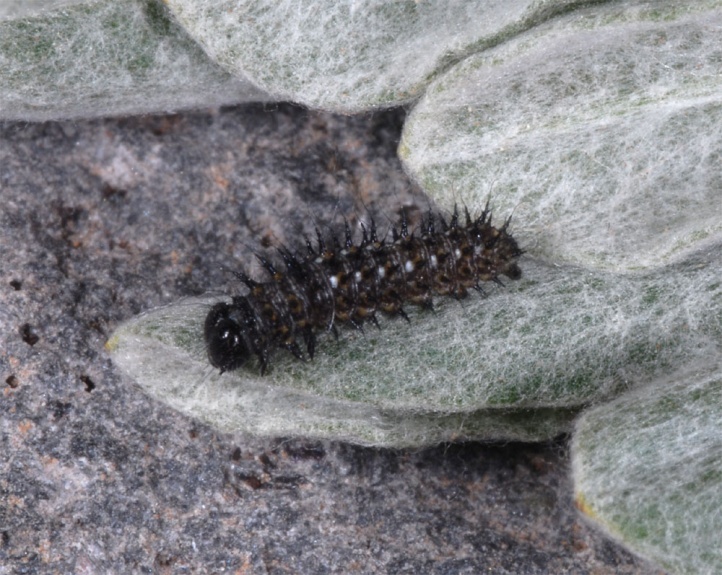 It is found in North America more in the coastal areas and often migrates only further inland and to the north. 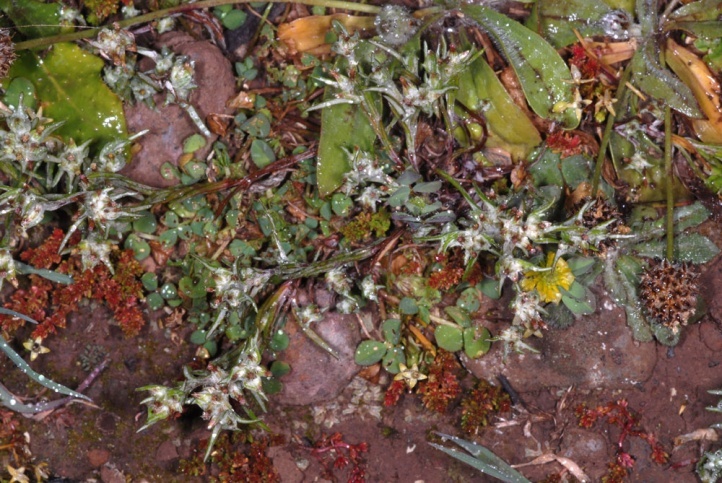 In Central America to Colombia it occurs more in middle mountain areas. 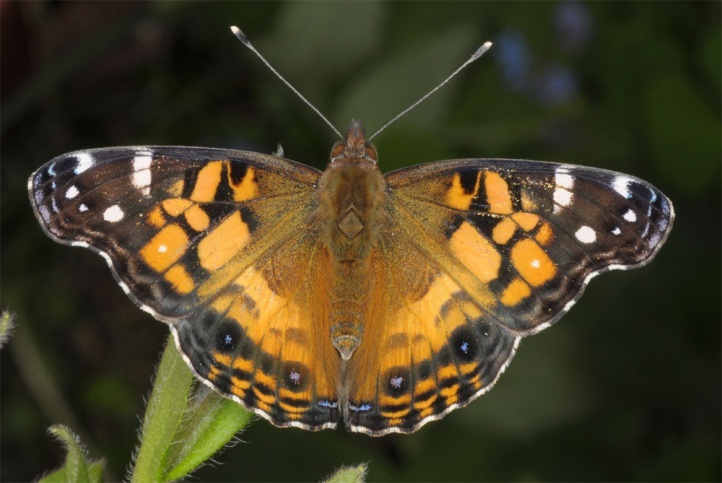 Thanks to their migratory abilities, Vanessa virginiensis is transported by westerly winds to Western Europe (Azores, Madeira, western Spain, Portugal, western France, British Isles), where it can reproduce in some regions for years. 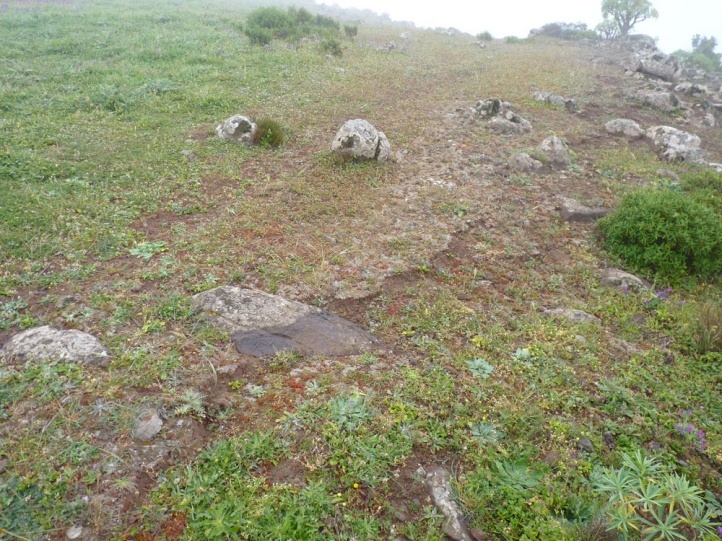 Vanessa virginiensis is native to some Canary Islands since many years (La Gomera - see own observations in 2013, La Palma, especially Tenerife), and recently appeared in southern Portugal. 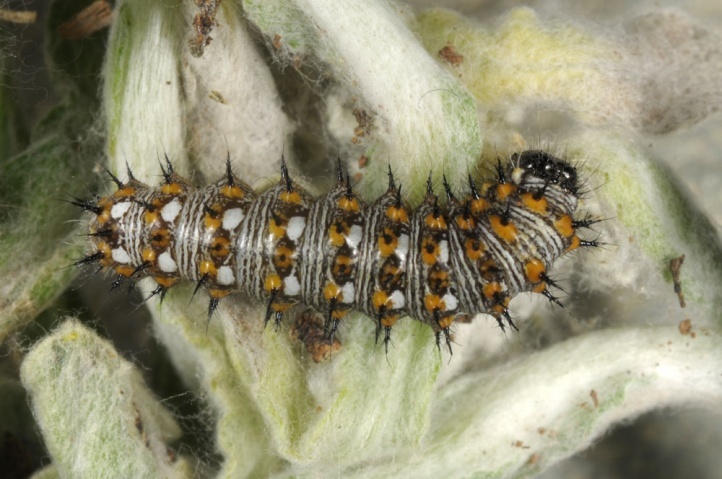 Vanessa virginiensis can survive the cool season apparently unlike Vanessa cardui in diapause, but can not tolerate true frost.